Practice teamwork and observe it in action by attending U.S. sporting events. Join the International Indoor Soccer League. 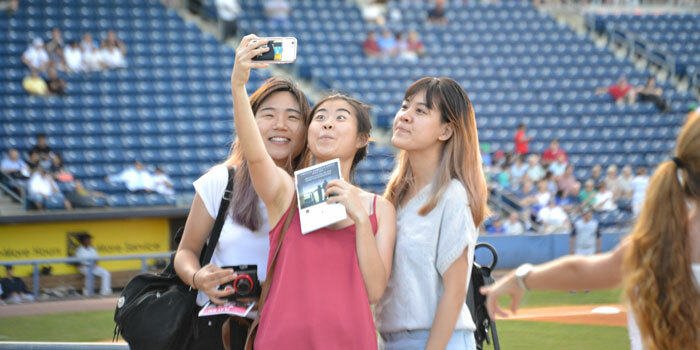 This is a great way to meet new people, make friends, exercise, and stay active during your stay in the U.S.
InterExchange invites all J-1 Visa Exchange Program participants and their friends to enjoy a favorite American pastime! Cheer on the New York Liberty at "The World's Most Famous Arena" Madison Square Garden. Invite your friends to enjoy an American national pastime with the Myrtle Beach Pelicans! Invite friends and enjoy a favorite American pastime together! Cheer on San Diego Padres and share your own culture at the Petco Park Stadium! Cheer on the New York Liberty at "The World's Most Famous Arena," Madison Square Garden. Join a fun group sports activity followed by dinner.